Proper nutrition is vital for the maintenance of youthful, smooth, healthy skin. Skin care products, such as lotions, creams and cleansers can help treat certain skin ailments, but many skin problems are related to diet and nutrition. Wrinkles, dry or oily skin, acne, and inflammation can all be signs of poor internal health, often brought on by consuming unhealthful foods and avoiding skin-healthy nutrients. 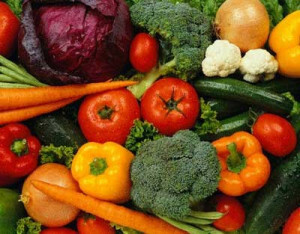 Vitamin A: Foods high in Vitamin A include liver, chili peppers, carrots, apricots, collard greens, kale, sweet potatoes, spinach, and cantaloupe. Vitamin A promotes proper repair and maintenance of your skin at the cellular level. Antioxidants: Blackberries, Blueberries, Strawberries, and Plums contain the highest total antioxidant content of any food. Damage to the skin from the sun and environmental toxins creates free radicals, which can damage the DNA of your cells. The antioxidants in these fruits can protect the cell so there is less chance for damage. Protecting your cells from damage also guards against the signs of premature aging. Essential Fatty Acids (EFAs): Salmon, Walnuts, Canola Oil, and Flax Seed all deliver essential fatty acids, and thus are important foods for healthy skin. Dry or inflamed skin and skin prone to breakouts can benefit greatly from EFAs, which are responsible for skin repair, moisture content, and overall flexibility. Selenium: Whole-wheat bread, muffins, and cereals; eggs, brown rice, turkey, tuna and brazil nuts all contain this antioxidant mineral responsible for tissue elasticity. It may play an important role in preventing skin cancer, as it can protect the skin from damage from excessive ultraviolet light. Green Tea: Green Tea deserves its own post it has so many beneficial properties. Suffice it to say the anti-inflammatory and skin protecting properties in green tea just can’t be beat. At Privy Skin Care, we want your skin to be healthy from the inside and out. All our body and face treatments are tailored to your specific needs and lifestyle. Schedule an appointment today to see how we can help you!